I’m not going to lie, when I walked into Leesa and Grant’s home and saw his tattoos and her gorgeous hair, I squealed. I might have squealed to myself a couple of times during our session — like when Grant asked for a photo with his back tattoos and Baby Rhys laying on his shoulder. It’s a photo that has been done countless times by countless photographers, but it is just really cool. They were a photographer’s dream couple! Now we can’t forget about the star of the show, baby Rhys. He was such a sweet little boy and so good for me. We got through so many setups before he decided that he had had enough. I would have squealed too!! Such a great session. 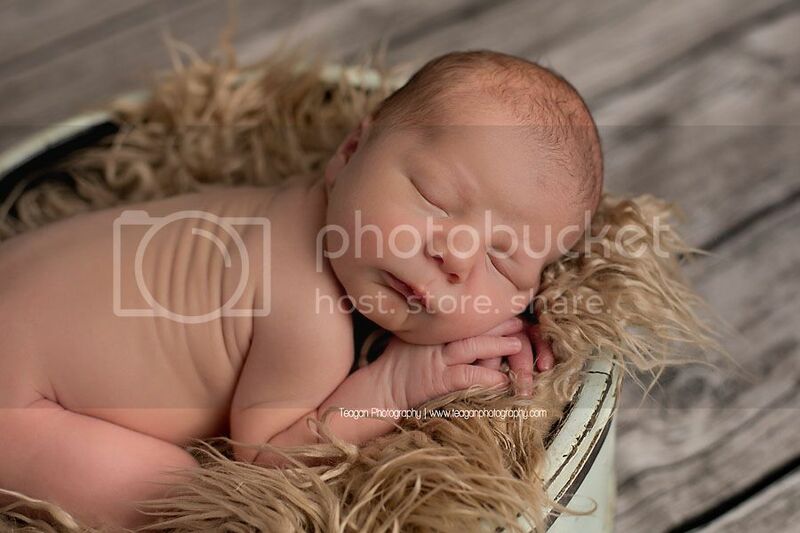 Edmonton is luck to have such a great Newborn Photographer. Ahhh the tattoos and the little one! I just love the the contrast of the ink against a little baby bottom. Each baby portrait of little Rhys is just adorable! Gorgeous Edmonton baby photography! 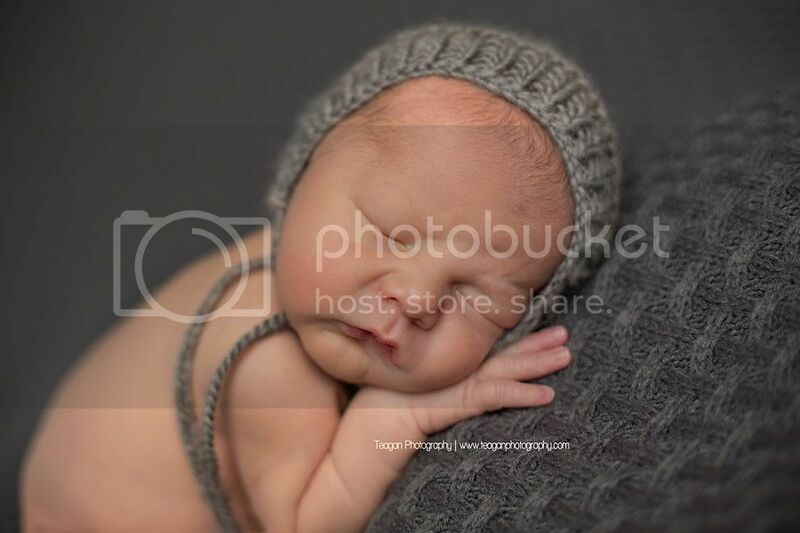 It must be a real treat for your families in Edmonton that you visit them for their newborn photography. I wouldn't have been able to tell that these images were shot on location if you had not mentioned it. 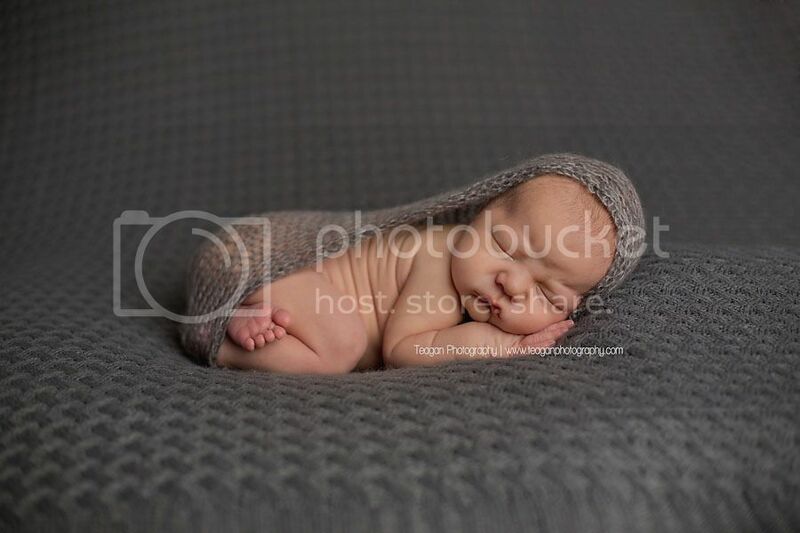 I love the studio feel of these newborn pictures. My favorites are the images that highlight the family bond and vibrant tattoos on both mom and dad. Beautiful work! 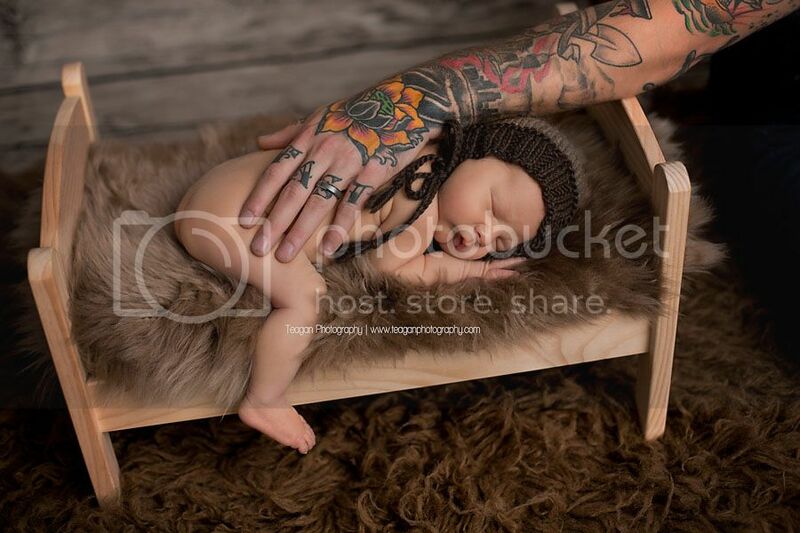 This is an amazing newborn shoot!!!!!!!!! What a very blessed Endmonton family to have you as their newborn photographer. Family shoots, I find, are the most difficult of the session and you made it seem seamless. The use of incorporating the tattoos into their little one's session was magnificently done. The posing, the light - Magnificent!!!! What a beautiful photography session! This little guy is so adorable and I love the incorporation of the daddy's tattoos alongside the newborn's precious and innocent skin. 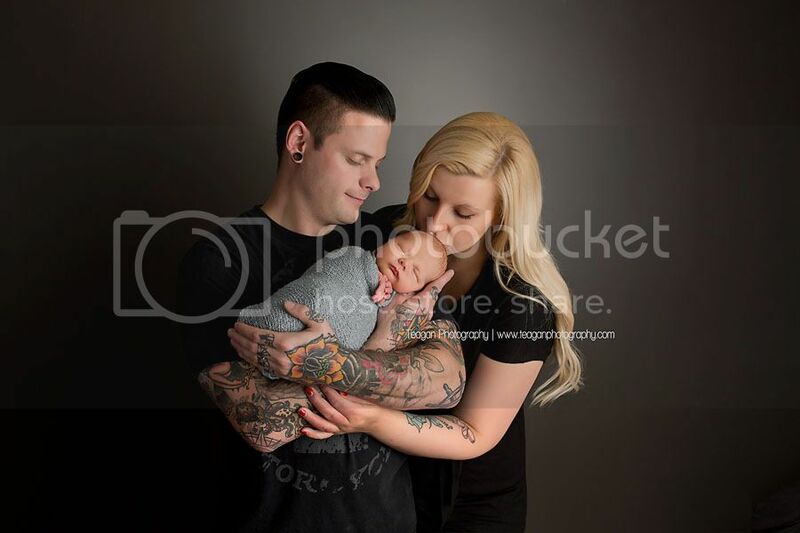 Edmonton Newborn Photographer captured beauty with this family and their new bundle of joy! Aww!! 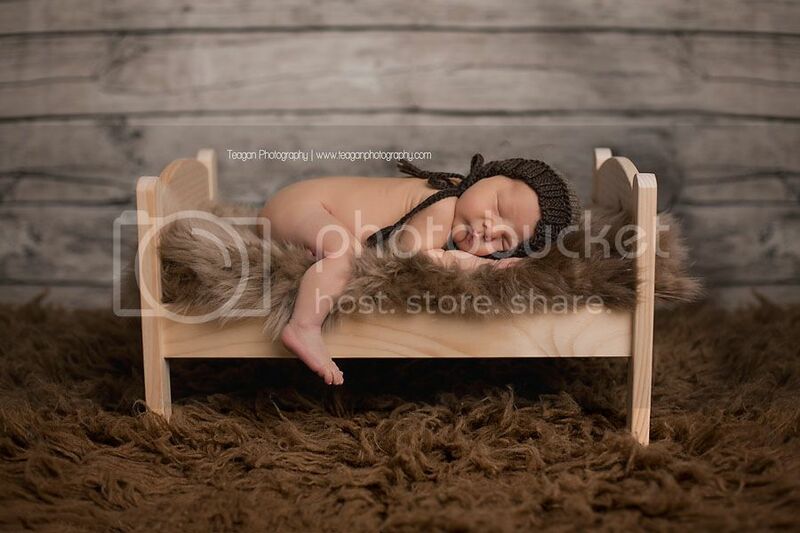 These newborn photos are just precious. I love all the ones with the grey blanket they will look so amazing on this Edmonton's family walls next to the parent portraits! 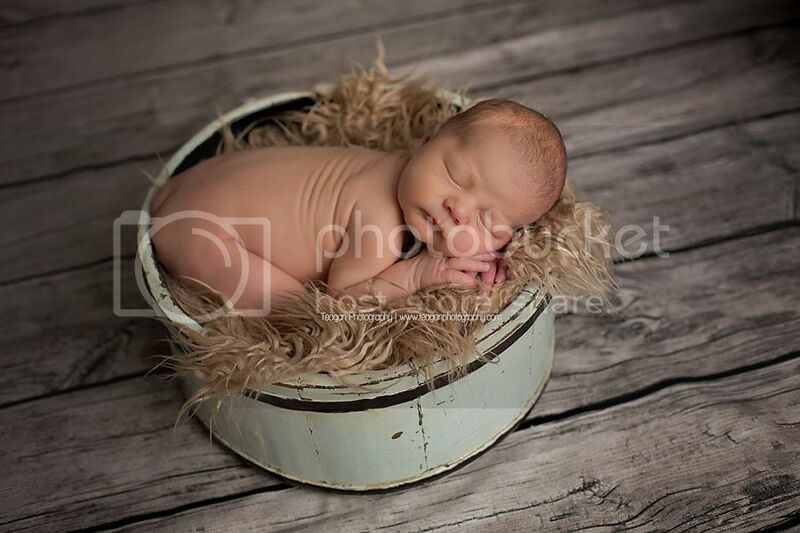 WOW what a beautiful newborn session! I love the one where baby Rhys is on his dad and you can see all his dad's tattoos and the one where he is on his back relaxing. What a creative newborn photographer you are. 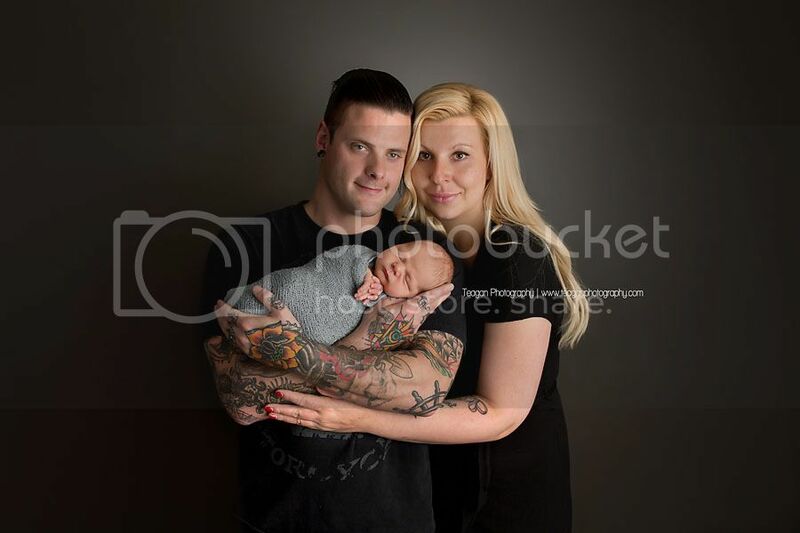 What a beautiful family and newborn baby boy! These first family portraits are gorgeous. 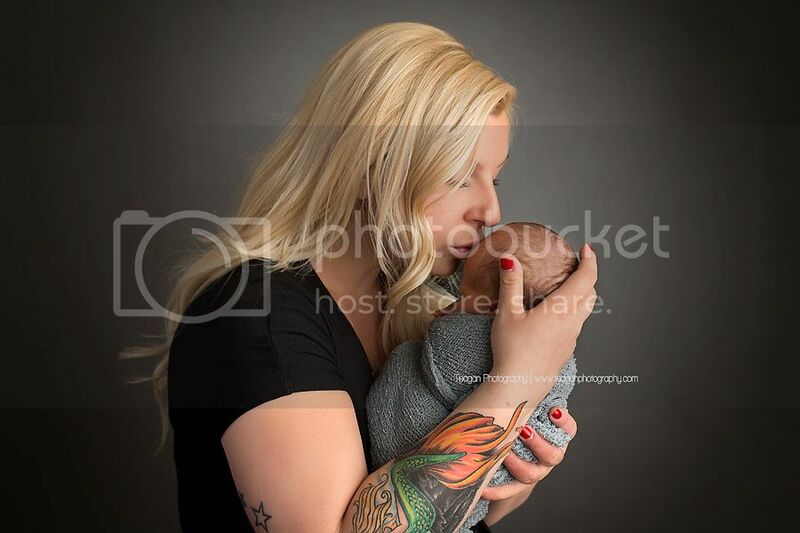 I always love the contrast of colorful tattoos with a newborn's pristine skin! Teagan Photography did an incredible job with these! This little newborn looks like he slept like a dream! 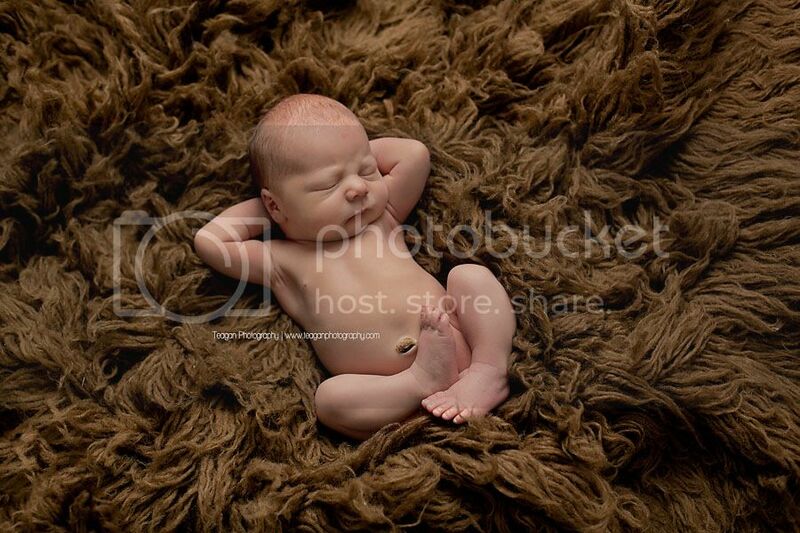 Great work by Edmonton newborn photographer. I love the variety of props and setups, but it all fits with the same gorgeous and organic color palette! This is one heck of a amazing newborn and family session I have seen!! 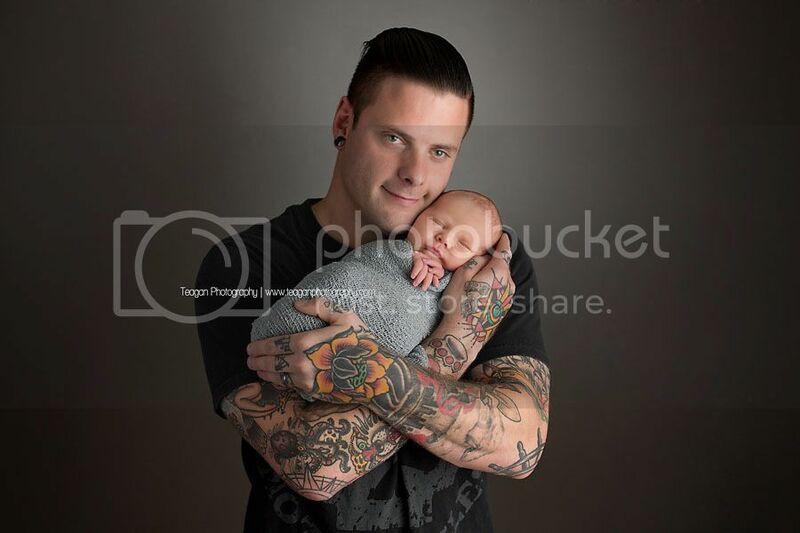 I agree Daddy's tattoo's were so cool and I have to admit I loved the way you laid the baby on his shoulders for that shot!! Your rocked it and so did baby Rhys !! You are the best Edmonton Newborn and Baby Photographer !! Teagan Photography knows how to capture beautiful newborn images and family images that will surely be cherished for a lifetime!! You couldn't have asked for a better newborn session! 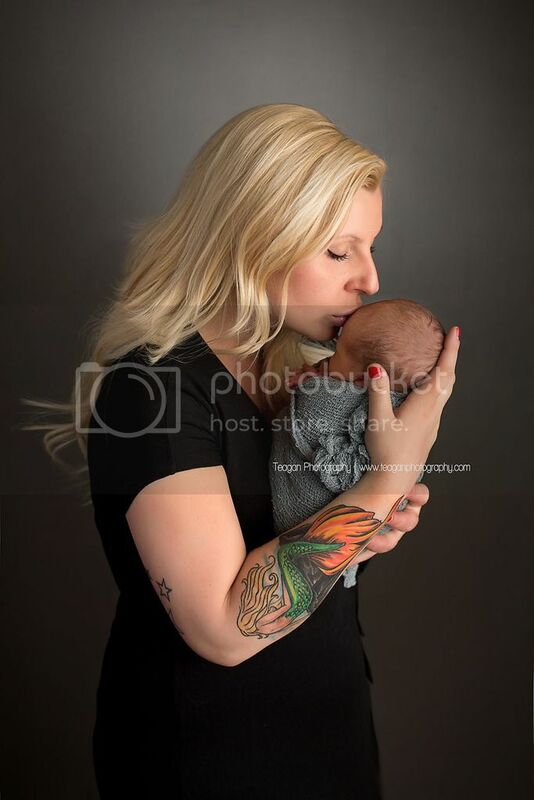 I would have squealed as well over getting to pose a baby on a shirtless dad wanting to show off his tattoos and a gorgeous momma with long golden locks! Your posing and lighting throughout this newborn gallery is spot on and I know his Edmonton family has to be in love with every image! I always love tattoos in newborn sessions. It's so much fun! These portraits are seriously gorgeous! I love the mood the charcoal backdrop creates and all of your newborn setups! I'm sure Rhy's parents are over the moon with the images you created. Beautiful work! What a gorgeous baby boy! Great use of all the greys and browns to make this newborn session super masculine, but still soft and dreamy. I also love how you incorporated mom and dad's body art into your work. Beautiful session! What a beautiful newborn session this is! Everything about it is just perfect! Great light, perfect posing, and so many details. I especially love how the tattoos are highlighted. This Edmonton family is going to love every single photo! This is an amazing Edmonton family photo session :) I love the proud parents with their little one, they look so overjoyed when they are looking at them. I agree, that the tattoos are amazing!